Due to the exclusivity of the camp, guests do not compete with other camps to see wildlife. All activities are conducted to give guests an authentic safari experience, while the East African styled tents provide comfortable South African lodging. 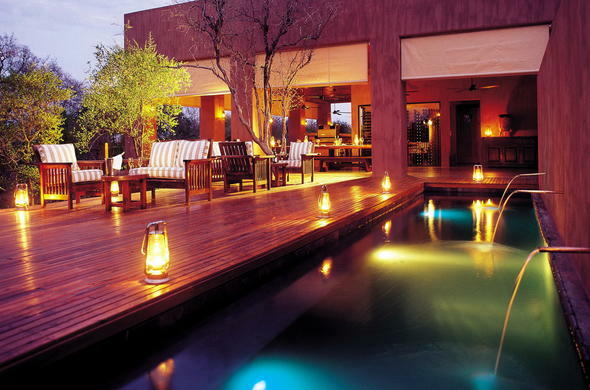 Honeyguide Mantobeni Tented Safari Camp borders the world famous Kruger National Park in a Big Five zone. Each of the East African styled tents at this safari camp in South Africa is equipped with en-suite facilities and safari style comfort. Not only can guests enjoy standard safari activities such as game drives, bird viewing and bush walks, but ecosafaris are conducted in a private concession area with armed and experienced rangers. Due to the exclusivity of the camp, guests do not compete with other camps to see wildlife. All activities are conducted to give guests an authentic safari experience.